Our puppies come from a family setting and get lots of attention and love! We want to see our puppies go to homes that will show the same loving care and will give them lots of exercise and love. our puppies are all up to date with their shots and come with a health certificate from our vet!! 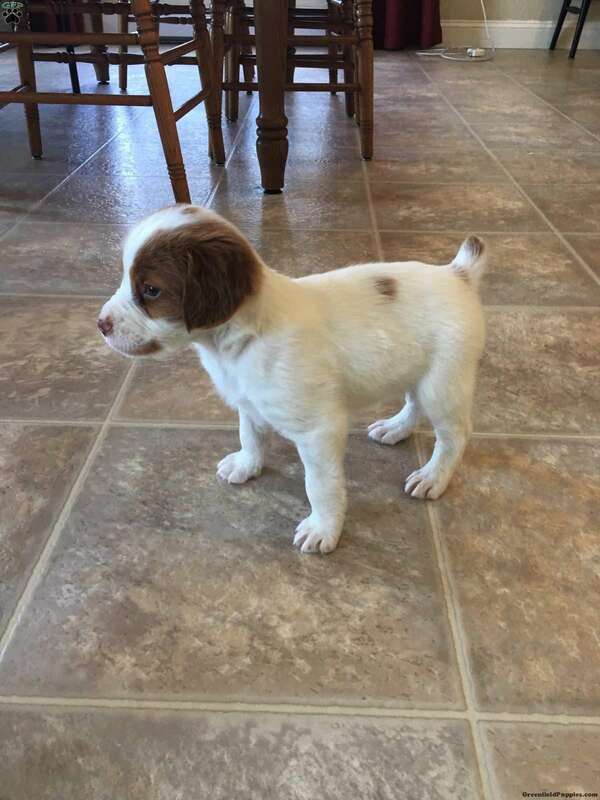 They will be a great addition to your family or make a wonderful hunting companion (they have great hunting bloodlines) If you would like to add a puppy to your family please contact Heather! 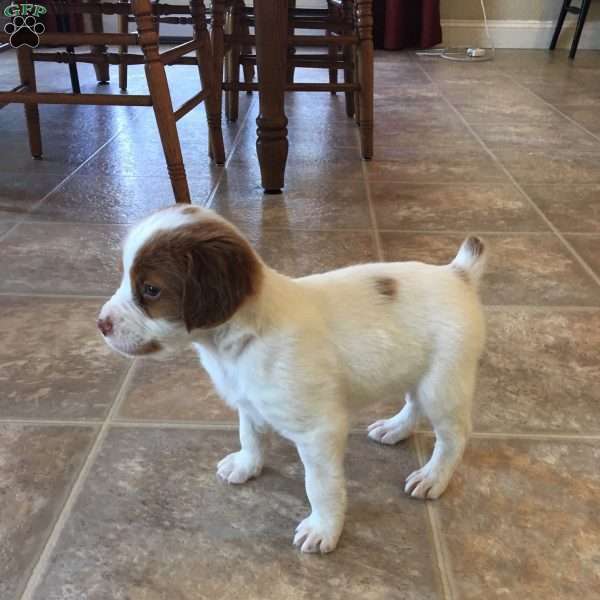 Brian & Heather Gingrich are breeders located in Lititz, Pa who currently have a cute litter of Brittany Spaniel puppies. These darling pups are vet checked and up to date on shots and wormer. 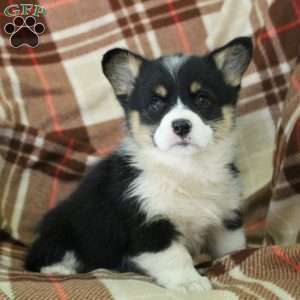 These fun pups can be registered with the AKC and comes with a health guarantee provided by the breeder. To find out more about these fun pups, please contact Heather today!